Local, fresh and mostly organic ice cream- music to our ears! Jack mainly sells his ice-cream from his tricycle all over Cambridge – you can follow his movements on Facebook and Twitter, and his products can also be found at retailers in Cambridge and Ely, details of these can be found on his website. 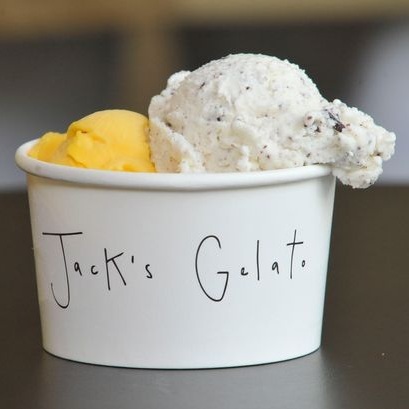 Jack makes his gelato using organic milk and cream, British sugar, foraged elderflower and vegetables from his allotment. Also, all their energy now comes from renewables! Opening Times are variable (and he tends to only be on his tricycle during the warmer periods of the year)- please refer to Jack's website/social media pages for details.